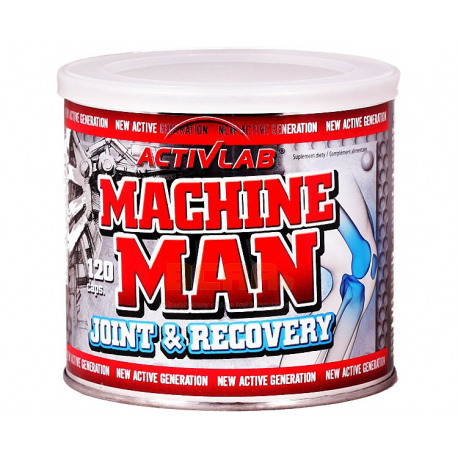 Return to Home > Gewrichtsbescherming>Activlab - Machine Man Joint & Recovery - 120 kaps. 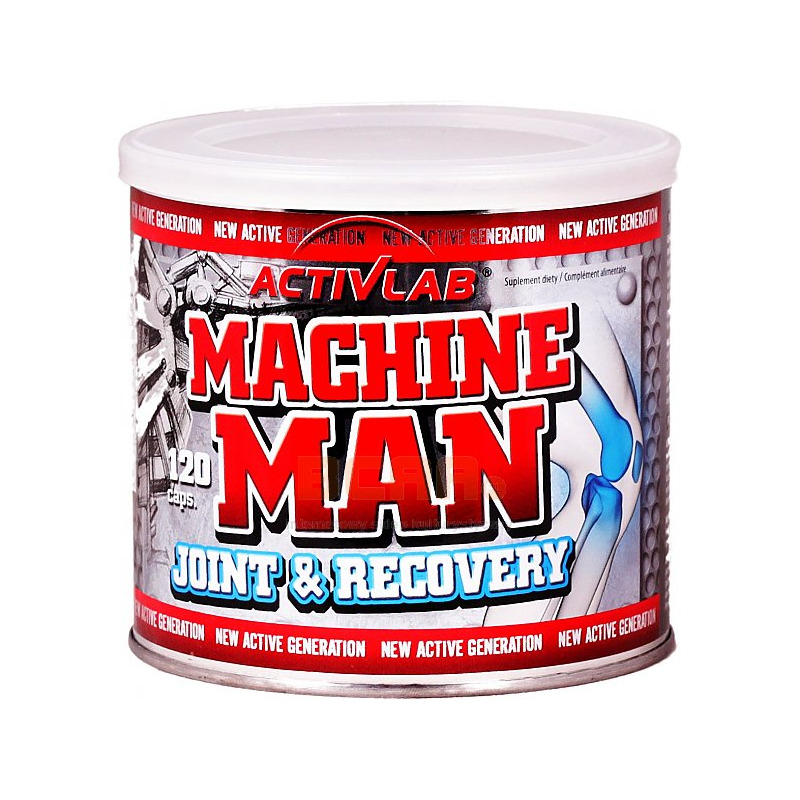 Activlab - Machine Man Joint & Recovery - 120 kaps. HOW IT WORKS: Machine Man Joint & Recovery is particularly recommended to all persons pursuing various sports disciplines that result in increasing the load on the joints. Glucosamine and chondroitin provide the substrates for the biosynthesis of the macromolecules that build articular cartilage, e.g. glycosaminoglycans, proteoglycans and hyaluronic acid. Vitamin C contributes to normal collagen formation for the normal function of bones and cartilages. Peptides and amino acids comprised in collagen hydrolysate are also instrumental in collagen production. Collagen protein and manganese contribute to the maintenance of normal bones. 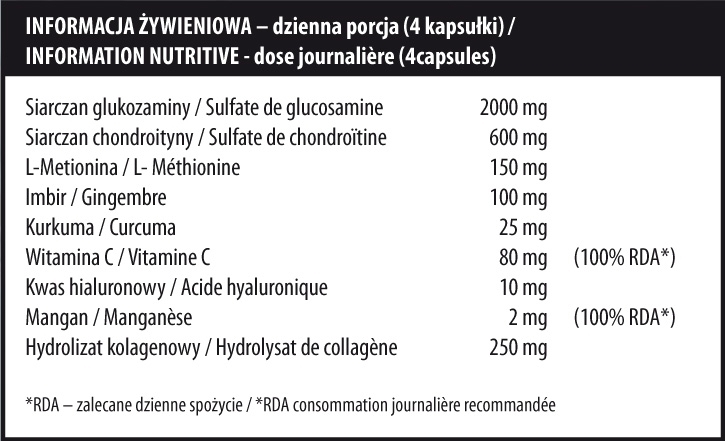 WAY OF USE: 2 capsules twice a day. Do not exceed recommended daily portion. The product can not be used as a substitute of a varied diet.